Chart is provided for an understanding of color relationships. 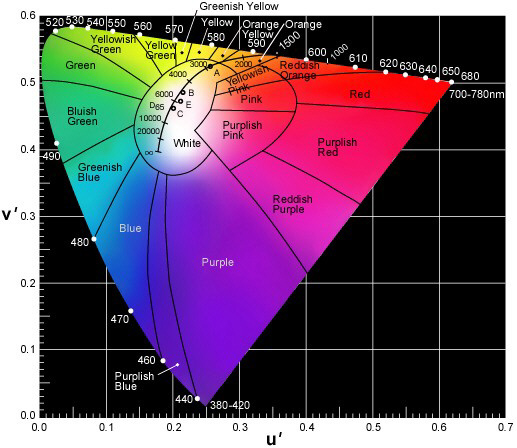 RGB monitors and printed materials cannot reproduce the full gamut of the color spectrum as perceived in human vision. The color areas shown only depict rough categories and are not precise statements of color.